Has a nice selection of games. Won't get involved if there are problems. Lucky247 was an accredited casino from October 2013 to May 2016. At first they were on the ball – their casino rep was clued up and very active with our forum members. The casino itself, a downloadable Microgaming casino – got great reviews from our players, and they seemed to be on the right track. But after this forum rep left, the casino seemed to have lost the big picture, and began to confiscate winnings from AP players for vague reasons. We had a few PABs that went pearshaped, which was frustrating, most of these were worked out – but it was like pulling teeth dealing with this accredited casino. 7.6 Limitations of withdrawalsFor your own security you can only withdraw a maximum of 10,000 euro (or currency equivalent) during any 24 hours. All progressive wins are exempt from this clause. Where a sign-up Bonus has been credited to you, and after meeting all wagering requirements, you will be limited to a maximum withdrawal value of 6 times your first deposit amount and any remaining balance will be forfeited. This clause will only be applied at the discretion of casino management. All progressive wins are exempt from this clause. This was a no-go. They were informed that this vague term conflicted with our standards. They removed it, but months later it was added back where it was – and they were adamant that it was there to stay. Must not disqualify any player from a payout if terms & conditions are met, except for situations of fraud (multiple-accounts, bogus ID documents, chargebacks, etc.,). Must not confiscate winnings for vague & unclear reasons, such as “irregular playing patterns” or “bonus abuse”, without specific T&C violations. Obviously their player philosophy conflicts with the player philosphy at Casinomeister. And needless to say, they were removed from the Accredited Section – which they never protested. They did not value being listed at Casinomeister. You can read the removal thread here: Lucky247 removed from Accredited Section. 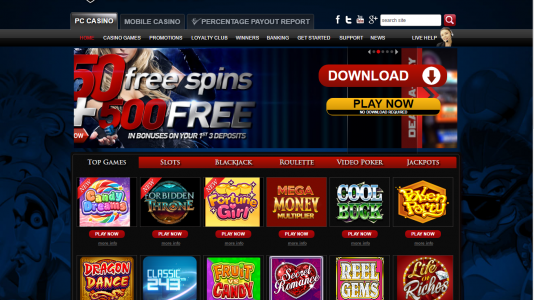 Like I mentioned above, they were really pretty good – but the reasons why they were good relied heavily on their Igaming representative in our forum. He was motivated to get this casino up and going – to become accredited, and to be one of the best casinos out there. Once he left, the casino presence and attitude took a nose dive. There are better choices out there. But if you really, really have to play there – please carefully read their terms and conditions, and adhere to them – to the letter. Caveat emptor – they eschew advantage players. If you have any issues with this casino, we will probably refer you to eCOGRA.